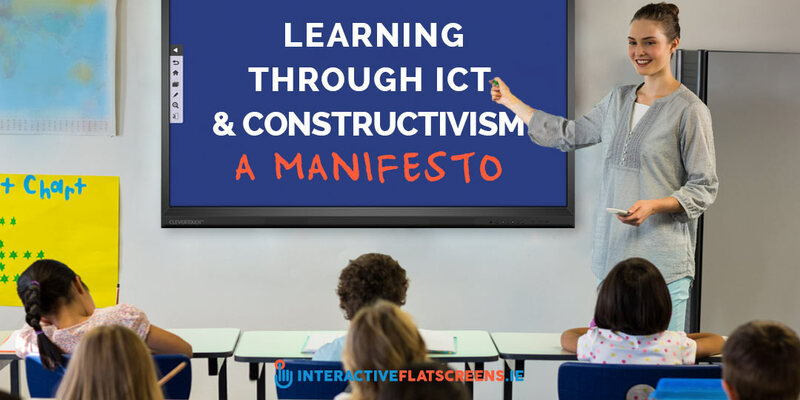 There is a revolution underway in the classroom and it is being driven by ICT. It is hard to put a name on this revolution as we are still in the midst of it, but we can confidently say that Constructivism is a major player. What is Constructivism? Constructivist learning theory holds that learners are not passive recipients of knowledge. They learn actively. They build on previous knowledge and experience to make sense of what they are learning. It is a more student-centred approach – a progressive and empowering learning model. In primary and secondary schools across the country pupils are being liberated by this more informal and enlightened approach. They are beginning to guide their own learning. Meaning and knowledge is becoming something that is created and not just absorbed passively. And yet Constructivist teaching methods have been with us a long time at third level. Third level students, especially those studying Arts and Humanities, are expected to read and learn actively. A Sociology essay is as much about the students’ own imagination and experience as it is about the learning object. Students at this level are more autonomous and self-directed learners. So where does ICT fit into all this? 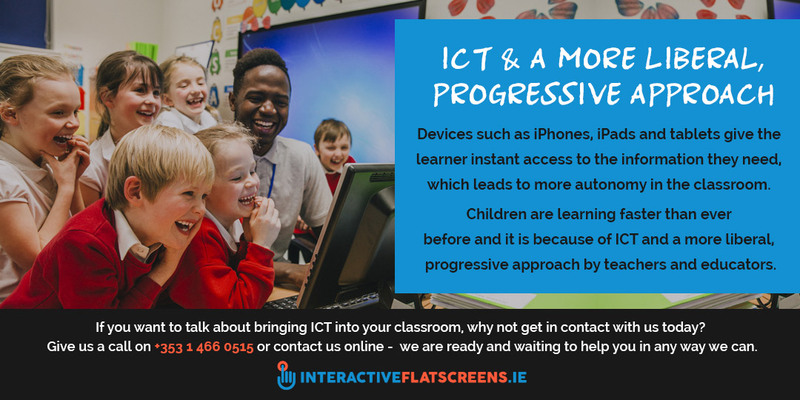 Well, devices such as iPhones, iPads and tablets give the learner instant access to the information they need, which leads to more autonomy in the classroom. Children are learning faster than ever before and it is because of ICT and a more liberal, progressive approach by teachers and educators. The idea of learning though play is a major part of the Constructivist ethos. It’s no secret that children learn better when they are having fun. The interactive nature of ICT devices allows for greater engagement and play. Learning games are proving to be very effective in the classroom and there are a multitude of them available for every subject. Because most children are familiar with computer gaming at home, they take to learning games very quickly, which helps to build confidence and self-esteem. ICT in the classroom also helps to deter unruly behaviour as greater engagement and interaction means less boredom, which is the root cause of most disciplinary problems. But let’s not forget the Interactive Flat Screen. This powerful teaching tool is the new white board. Through it, a more blended approach to learning is made possible. Yes, the teacher still has a major role to play in the classroom of today and tomorrow. Constructivism is an enlightened and optimistic approach to education. It’s basically a matter of trust and respect. The pupil is entrusted with their own learning. Their imagination and experience are recognised and respected. Their intrinsically good behaviour is accepted. 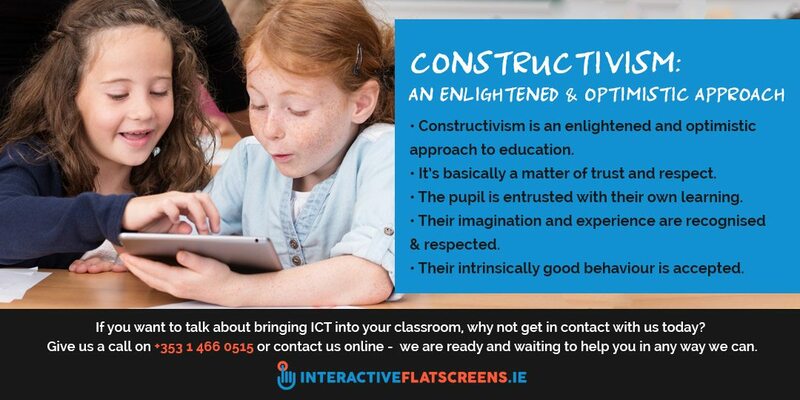 If you want to talk about bringing ICT into your classroom, why not get in contact with us today? Give us a call on +353 1 466 0515 or contact us online – we are ready and waiting to help you in any way we can.